human physique. Their claim of expertise was based on their ability to factor in every relevant "variable"
and thus heal the sick. between how things are and how they should be, using all the tools of science and technology. because nobody had a conceptual lens powerful enough. people were fond of saying ­ refers to what is to be done. we making progress?" They don't ask when, where, and how many but why, how, and whether. 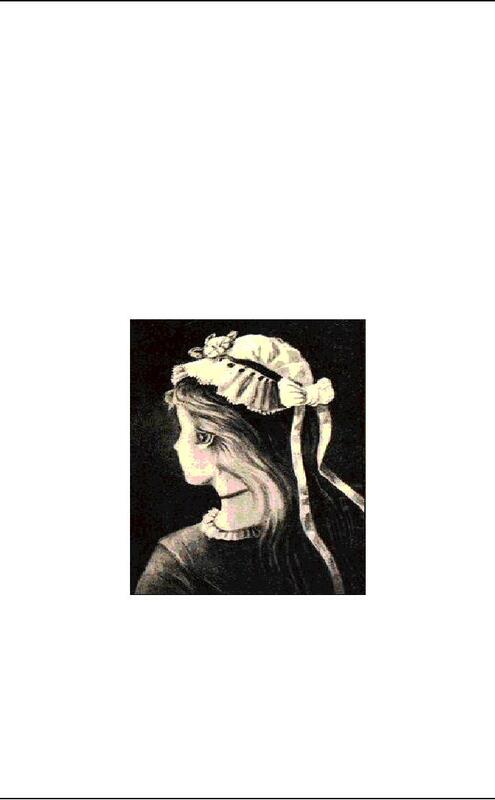 Task/process thinking can be likened to the famous visual paradox of the Old Woman/Young Woman. Do you see a young beauty with her head turned or an old woman in profile? You can't see both at once. By some mental gyration, you can learn to shift between them. skills few of us learn in school. with abilities lacks satisfactory "answers." and how to work together to develop action steps from the diagnosis. something is wrong with the organization. absenteeism records and by interviewing selected employees about possible reasons for absenteeism. to address it are made jointly by the OD practitioner and the manager. the absenteeism example above, the practitioner and the client may choose to frame the issue positively. functioning. Many managers involved with OD are not experiencing specific organizational problems. interventions may be developed for solving problems and enhancing effectiveness. Organizational diagnosis is a major practitioner skill. It usually examines two broad areas. comparison of the top middle, and lower levels of management in the organization. methods, and the management of conflict and competition. 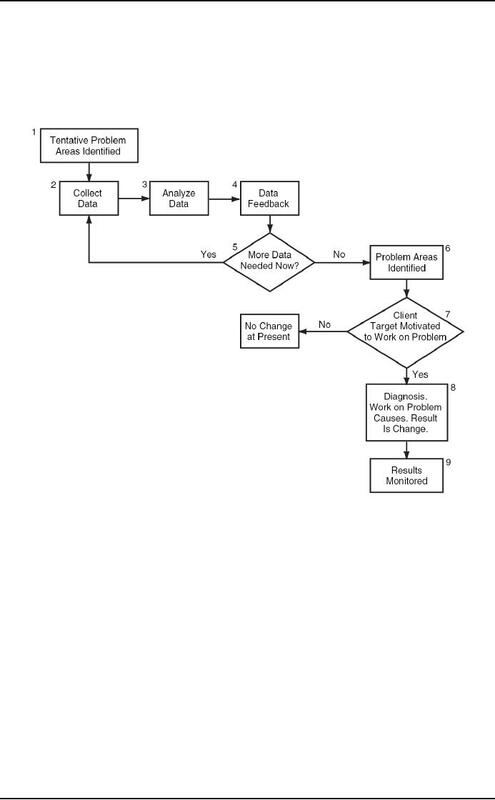 The second step involves gathering data based on the preliminary problem identified in the preceding step. been attained versus the desired change goals. what the organizations could do by virtue of its opportunity in its environment and what it actually does. often hidden or obscure, whereas the more conspicuous and obvious problems are relatively unimportant. underscores the importance of the diagnostic stage. 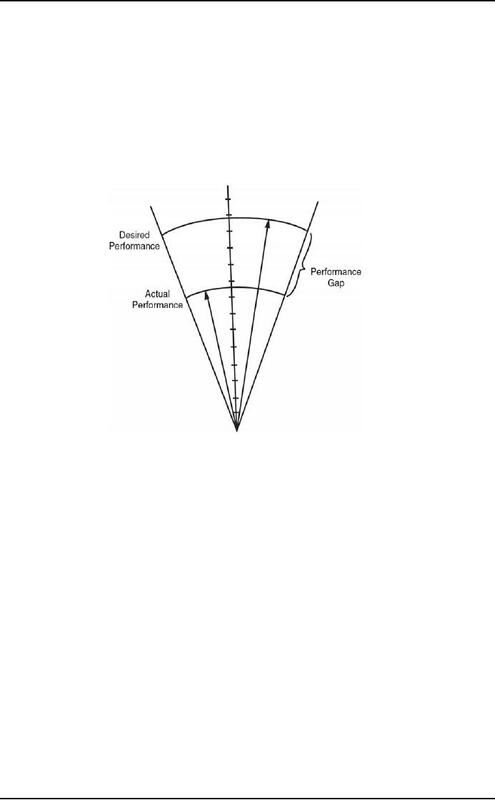 A performance gap may continue for some time before it is recognized, in fact, it may never be recognized. function of the organization by introducing OD interventions. 2. What can be done to take advantage of the strengths? 4. What can be done to alleviate the weaknesses? to identify what factors are causing the problem, and therefore what needs to be changed to fix it. recognition of performance gaps and to change programs. out what areas to examine and what questions to ask in assessing how an organization is functioning. However all models represent simplifications of reality and therefore choose certain features as critical. presenting problems as well as to ensure comprehensiveness. dimensions or variables that are associated with organizational effectiveness. systems model provides a useful starting point for diagnosing organizations or departments. of OD is called the open -systems model. in the case of the check-sorting and data-processing departments. accuracy and concentration. There is little chance for interaction because they take rotating coffee breaks. their work required team effort and were committed to high performance. The lack of loyalty to the entire bank could affect the effectiveness (and profitability) of the bank. The bank may have a poor process for setting pay policies. loyal to the larger organization. a portion of the data without understanding how managers make decisions based upon that data. H. Day gathers more data to confirm/disprove initial diagnosis. competitively with similar workers in other companies. Adjust pay if warranted by the data. All of the alternatives listed above can be undertaken by Day.